As yet another side project at work, i started looking into re-using a portion of our soon to be replaced laptop fleet. Many of the laptops will be recycled but it’s looking likely that i’ll get 10 or so 15.6″ LCD panels to re-use and turn into physical, portable kodi screens to be placed in 1:1 meeting spaces about our office. 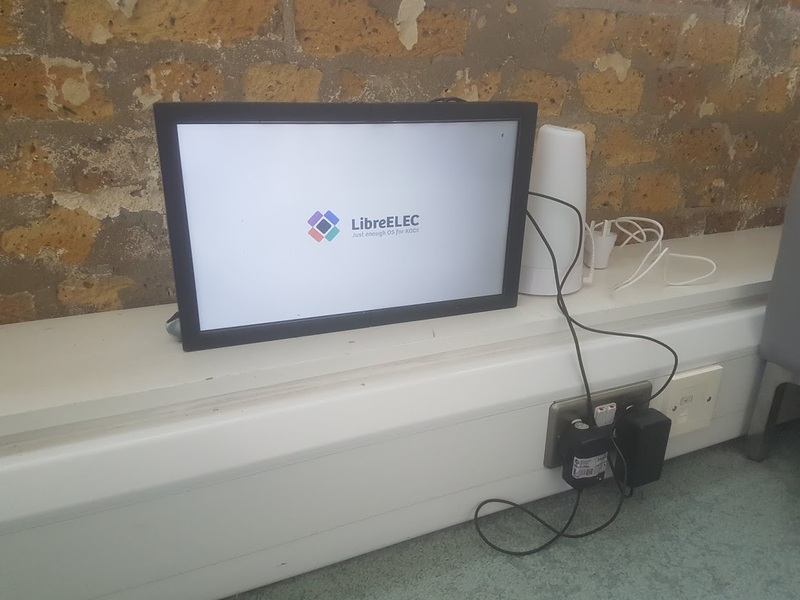 They double as 2nd monitors for people to use during meetings as well as showing loads of realtime stats and announcements.The idea was to make an enclosure and stuff the LCD panel in with a LCD controller from ebay and a raspberrypi running LibreElec. A LibreELEC splash with a white background? I only saw that in certain AMD test builds we did. Or is it an alternate splash graphic?